Yesterday was the culmination of the Busso build for our long course athletes and they can now enjoy a bit of a taper before racing in under two weeks over in WA. Pushing out 200k on Saturday and then backing this up with a 35k run takes some going and we are enormously proud of the dedication of the guys. It’s a big achievement to have got this far and the race will now be the celebration of that training. Jed, James, Brett, Michelle, Greg and Sheridan – have a good taper and we’ll be watching your race progress very soon. In Busselton related news catch Jeds chat with Triathlon Victoria and his great race kit. With the support of Jaggad, Stand up events & Tri- Alliance Jed will be wearing a custom race suit to represent the LGBT community and encourage a positive environment for all. Read more here. Our male ambassador Ian set about his promotion with a sunshine race up in Queensland on Hamilton Island at the weekend. Dubbed as one of the hardest Sprint races going with some serious up-hills and technical descents along with a beach run finish. Ian did a great job and flew the Tri-Alliance colours well with 36th from 221 finishers being a great result and will stand Ian in good stead for a crack and the sprints this season. Next Up Elwood on Sunday – freshen up and recover for another short smash fest. Good work Ian. This weekend sees the season opener of the Gatorade Triathlon Series 2015/2016 at our home base of Elwood. For many it will be their first hit out of the season. Be sure to get your entries in soon as the field is getting full and you don’t want to miss out. Race 1 is 500m swim in the bay, 20k bike (2 laps up to Kerford road and back) followed by a 5k run along the coastal path almost to St Kilda and return. We train so much in this area so there are no surprises just a fast flat course (can’t guarantee that in the water though sorry). When entering ensure you search and select Tri-Alliance as your club to get your 10% off (this is applied when you check out). Go to the Gatorade Series web site here to enter. If this is your first race and you are in need of some last minute tips and tricks then we are running a clinic and transition walk through at 12:30 on the Saturday afternoon at the race venue. To book spot read on. If you are not racing please come down and support your fellow athletes – we will have the TA Taj up and ready (assembly Saturday morning 930am after the combo pre-race session) which will be buzzing from 6am Sunday all the way through to our post race BBQ so do stick around for the presentations and food! Challenge Melbourne early bird club discount entries close at the end of November so to ensure you get your 10% off enter discount code “CLUB10” when registering and have the date of 31st January 2016 locked in. In additon to the half distance race there is the Giant Challenge Sprint Race consisting of a 700m swim, 30k bike (return to Mordi from Brighton) and a 7k run along the foreshore. Entries for both Challenge Races are here. Please also ensure you join as Tri-Alliance so we can easily see who is racing under the club. Good luck to athlete Ryan Buhagiar who will be racing Western Sydney 70.3 this weekend. The course is nestled at the base of the Blue Mountains and will utilise the iconic Penrith Lakes, located at the International Regatta Centre, for the swim. The bike course will include breathtaking mountain views and the final run leg of the race, which encircles the venue, will provide a great access to spectators of the entire race. Reminder for weekend long rides – Tri-Alliance kit required: Please remember it is mandatory to be wearing TA kit on the long rides. This helps keep the group together and deters others from join in and affecting what the group is trying to achieve. There have been a couple of instances were we have had members of the public in our groups but this is often difficult to manage if not all our guys are in kit. This is for your safety and the enjoyment of your ride. We have a selection of new and old style jerseys so click here and we’ll get them out to you ASAP. This weekend’s training will be different due to the first sprint race of the Gatorade Series on Sunday so make sure you check below for updates and the timetable if you are not sure. The Wings for Life World Run is a truly unique global race event where runners from 35 locations across the globe take off simultaneously to see who can outpace a moving finish line that is chasing them. This means that athletes test themselves in a way that most would not have before. We had a few athletes taking part last year seeing how far they could get down to the Mornington Peninsular. Our best being just shy of a Marathon before being caught! This season the event will be taking place on May 8, 2016, in Melbourne, with Early Bird registrations now being open. The best thing about the event is that 100% of the Wings for Life World Run entry fee goes to spinal cord injury research and the search for a cure. After the meeting with Ollie to discuss the unfortunate cancellation of Ironman Melbourne 2016 we ask all IM athletes to please complete a short survey on your new goals for the season so we can best support you through towards these races. Most athletes have now responded but if you have not or are still unsure please complete or give the office a call to discuss your plans. Please use this link to open and complete the survey. Ramsay Health Care Triathlon Pink is an all-female triathlon series which helps raise funds for the National Breast Cancer Foundation. Whether you are taking on the short course or ultra distance, to us the accomplishment is the same – it is all about personal challenge & achievement! You will be spurred on by all the other ladies in Pink & our friendly volunteers who encourage you along the way. Many ladies are taking part in a triathlon for the first time or have moved up a distance since last season. Kids (boys and girls) can also get involved! The Melbourne event is on Sunday 16th January and we are looking for volunteers to help out on the day. We have a couple of our female coaches already lined up to help but would like more people to assist. Please email [email protected] with an expression of interest for the event and we will then pass numbers on to the organisers. Our next home based training spike is Hell Week (just before Christmas) and the next Camp is Falls Creek at the beginning of January. For those who wonder what Hell week is read about last year here – this year it will be from the 19th-27th December. For the Falls Creek camp (1st-8th January 2016) we have a very limited number of spots so please email Scott to get your name down on the list. We hope you have got your entries in for 2016 now as there will only be a few remaining and then the wait list kicks in. From social media we already have a large number signed up ready to go. Many for the first time and plenty of repeat offenders. Get on-board below if you are wanting to race and have a great holiday all at the same time! We also still have some space in the Tri-Alliance house close to the club tents and a short walk from Hastings Street and the main beach. For those who are after accommodation for next year we have a house at 19 Witta Circle just behind the club tents and spaces are available. $625 per person for 7 nights weds to weds over the race weekend. Bedding Configurations: 1 King (taken), 2 Queens (1 taken), 2 twin rooms (1 taken). Please email [email protected] if you are interested. 50% deposit upfront of $312.50 required to save your spot. 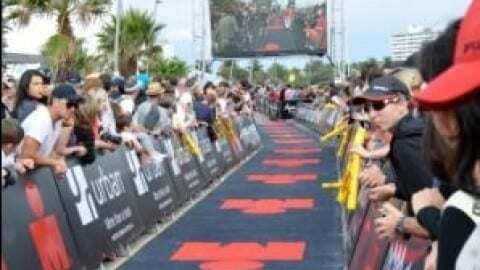 Saturday 28th – Elwood – Long course ride @6:30am with Coach Ollie. 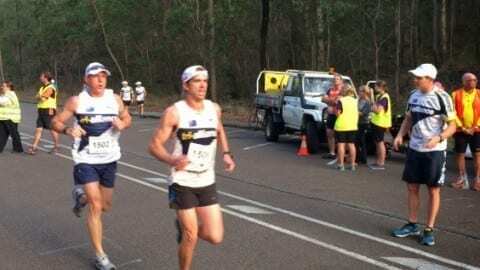 Saturday 28th – Elwood – Pre race session with coach Scott @7:30am. The session will begin with a ride over the course, followed by a short run and swim. Then time for any questions before helping put up the TA Taj at 9:30. The more that help with this the faster it is! Sunday 29th – Elwood – Long course run/swim @7am. Meet at the TA Tent to cheer on the guys racing whilst you also get your training done. Our End of Season Presentation Night is almost upon us and what a night we have planned! Its never been better to be part of Tri Alliance!